It’s more wordless perfection from Korean illustrator Suzy Lee. Lee’s latest release, Mirror, is as stunning and as simple as Wave, a book we reviewed here back in 2009. 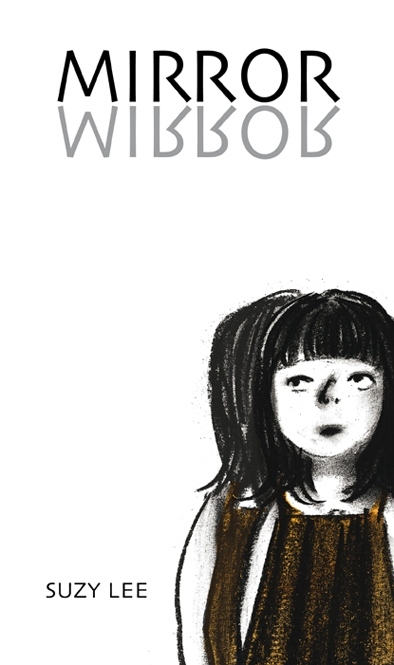 Mirror is a wordless picture book about the visual games you play in a mirror. Cleverly formatted, the fold between the two pages functions as the ‘mirror’ and we watch a little girl playing with her reflection. She dances, acts coy, pulls faces and the ‘story’ concludes in an unexpected but satisfying way. Parents seeking a deeper message will understand Lee’s nod to the differences between illusion and reality, the real and the unreal, but children will enjoy the more obvious elements of the book. Primarily it allows them to narrate, but they will also identify with the mirror games (who hasn’t pulled faces in the mirror?!) 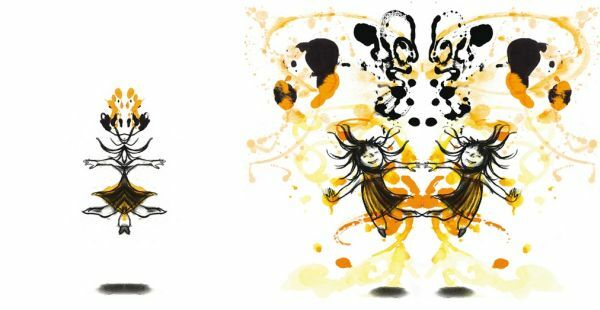 and enjoy the ‘reflected’ illustrations that have the effect of a painted page folded in half to create a repeated pattern, an art activity most kids do at kindergarten. For a preview of Lee’s beautiful illustrations, check out the slideshow here. Mirror is available from Fishpond for $29.95.